Three players are selected from the audience and are brought to the stage with a quick and funny introduction from the announcer. The contestants put on their new, wireless hardhats, their names appear on the video projection and we’re off and to the races. Throughout the course of the show they will be challenged to answer questions, unscramble puzzles and possibly even dance the Macarena. Unlike regular game shows where you “buzz in” to answer a question, contestants use a large soft mallet to “bonk” themselves on the head to qualify. Questions range from silly, difficult and “trick” questions to fully customized questions that reflect your product, theme or industry. Once a player reaches 10 points he or she is the winner of the round. The player with the fewest points is sent back with a humorous consolation prize such as 100 ounces of bubbles, play dough or a 4 pound can of tuna! This brings us to the “BACK BONK” round where things really get fun! In this round, if a contestant does not want to answer, or perform a silly stunt, he can force his opponent to answer by BONKing him with the mallet (see picture left!). BONUS BONKS are included throughout the game allowing members of the audience to answer questions for cash prizes, t-shirts, and even the chance to replace one of the players on stage! A full game includes a number of participants, several hilarious rounds, lovely parting gifts, lots of BONKING and of course a GRAND BONK CHAMPION. The best way to understand BONK is to watch the video – it’ll make just about everything clear. Then contact us to bring BONK to your campus. What Customers say about BONK! "The show was incredible. Gus and Eric were fabulous and the evening was so much fun. I hope we can bring BONK back again." Bonk – the Comedy Game Show includes a $300 prize package for all COLLEGE EVENTS. Non-College Events are quoted as “Plus Prizes”. Prizes are given for 1st, 2nd and 3rd place teams. Consolation “gag prizes” are also given. Of course you can increase the prize package if you so desire. To receive a price quote please fill out the form on our contact page. What are the technical needs of BONK? We’ll need to following to be provided for the Silver/Bronze Level (Budget) Shows. Extension Cord with Power Strip – enough to reach the podium. 2 6 foot banquet style tables. If these outlets are further than 30′ away from the performance area then extension cords should be provided. Load in/Load out assistance: We have a LOT of gear to load in. It’s all on wheels, so there’s no heavy lifting. We don’t require help, but we sure appreciate it when we get it and it puts our crew in a great mood for your show! How are people selected to play Bonk? Everyone at your event will have a chance to play during the game through our group challenges such as “Your Group Has Talent” and other ways to get everyone an equal chance to participate. 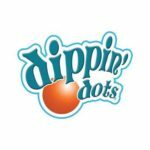 One of our most popular ways of selecting contestants is “Scavenger Hunt” style ala the old “Let’s Make a Deal” gameshow. We’ll ask for someone with the most school flair, or someone with a picture of their pet on their cell phone, etc. This helps us to get fun, enthusiastic people on stage to play. Think of it as a quick audition. You can also do a drawing for the opportunity, or have people preselected – but we HIGHLY RECOMMEND using our time proven ways. Just because someone has ticket number 2495 doesn’t mean they’ll be fun on stage. Our methods help us hedge our bets that we’ll have fun people on stage to put on a show! If Survey Says is being used as a part of a special event, such as Greek Week, Inter-Dorm challenge or team challenges for a corporate group, then using preselected teams makes total sense and is recommended. BONK is available in all levels of production: Bronze, Silver, Gold & Platinum. Bronze and Silver are identical with the exception that with the Silver package you will also have an on site technician to take care of all technical needs of the show – allowing the host to focus only on entertainment. Our new BONK software makes it necessary to have a tech at the show for anything lower than Gold Level – so Silver level is not needed. We’ll ask you to provide a few things for this show. It leaves the big sets at home and uses readily available items from your campus. See “Technical Needs” on this page for those items. It also makes the show super affordable, especially for distant shows, as our host can fly to your show instead of drive. Wireless Connectivity so host can run show from the stage. Wireless Hard Hats and Microphones for each contestant. Bank of game questions tweaked from years of experience geared towards your audience’s make up. Customization of Questions for your event is available for an additional fee. Bright, Short Throw Video Projection (allows short distance between screen and wall). NOTE: Our current set looks different than the one in the videos. We no longer use the dial scoring and hanging helmets, but instead use video scoring. It looks better, allows for more flexibility and is much safer. On-Site Producer – recommended if working on a tight schedule or high pressure environment. You’ll know exactly what your price is before we contract. No Surprises. We’re all about being easy to work with. Of course. We are fully insured. We can add your event to our policy at no additional charge – so you’re covered too. There is no cost for his as long as we have at least 2 weeks notice. Rushes may incur a $50 charge – so please check in advance if you need any special wording. We’ll need about 2 hours to set up. It takes far less than this to set everything up, but this gives us time to troubleshoot since we’ll be using unfamiliar equipment. This always gives us plenty of time, providing that all items from our tech needs are ready and waiting for us when we arrive. Take about 3-3 1/2 hours to set up and about 60-90 minutes to tear down and load out. (Usually about 60 minutes unless it’s a long walk from venue to loading dock). Shorter set up times (within reason) can be accomplished by us bringing in extra crew at an extra cost. Please inquire if you will need us to do this. The typical show lasts 60-90 minutes with an average of 70 minutes. Our software makes it easy to customize the backgrounds, prizes and sound effects and this customization is available at no additional cost in most cases. We can customize in any way desired, let us know what you have in mind and we’ll put together a price quote for that customization. We have ready to go shows for “Alcohol Awareness”, “Holidays” and more. If we feel the topic you are interested in will be popular with other clients, we’ll write a custom show at no extra charge. We may already have something for you with a different show, as each show has it’s own character and strengths. A lot of work, thought and trial and error went into our current standard game play. When one aspect changes, it potentially changes 10 other aspects. So while we can customize the show flow to a certain extent, it does take a bit more effort. Many ways (number of teams etc) we have already worked out. Let us know what you have in mind, and what your end goal is and we’ll work something out for you. BONK uses surprise and a series of questions to capture the humor. We can incorporate your questions and content, though to keep the show in character for BONK it does require a bit more work than other shows as we have to work to keep the FUNNY in the show. So YES, we can customize questions. There is an additional fee required. Our Bronze and Silver shows are very flexible and can fit in just about any space. However – to make it feel more like a show we recommend the minimums outlined below. We can be very flexible with the budget shows, but not quite as much with the Gold/Platinum shows. If a stage is not available we can work on floor level – just add about 4 feet to these dimensions. Near the stage/performance area should be a place for two 6 foot banquet tables (we’ll bring these) for our technician to set up. This space should be indoors, or if outdoors this should be pre-approved by our staff and it should be a covered area. Outdoor shows are not recommended for daytime events as even our very bright projectors get washed out in full sunlight. LED Backdrops are not available for outdoor events. Wind can be difficult with a large projection screen. 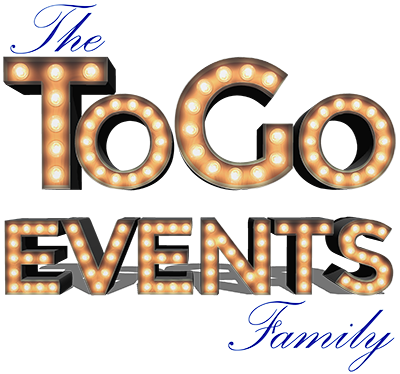 To Go Events has the final say on safety for all outdoor events. All outdoor events are “pay or play”. We also need 10.5 feet above the stage for our full set – though we can make the set shorter if we need to. Again… just let us know in advance so we are prepared. Some states such as California, New Jersey, Minnesota, North Carolina and Missouri (just a few that we know of) have “Out of State Entertainer” taxes or state income taxes that we don’t have here in our home state of Texas. Add a clause that says expenses of “up to <the amount of taxes/fees> will be billed after the show” and we’ll bill you for that exact amount. We fully participate in block bookings both through NACA and on our own. Check our calendar page to see when we’ll be coming near you to save. We give HUGE discounts to schools who work with us to create routes. Using Coop buying really helps everyone to win. Other than that, we have a published price list with competitive pricing that we stand by. We don’t give an inflated price just to give you a false discount. We quote a great market price and stick to it. We hope you’ll appreciate us being up front about this, it seems to be the most ethical way to do business. We see BONK advertised by other people... what gives? Bonk is a licensed show created by comedy genius Kerry Pollock. Game Shows To Go/To Go Events was one of the first licensee’s way back in 2003 – so we’ve been presenting BONK longer than almost anyone except for Kerry himself! We are also the only Game Show production company presenting the show. Other licensees are mostly magicians or variety who only do this one game show. What we bring to the table is 15 years of GAME SHOW EXPERIENCE unmatched by anyone in the business. We also have exclusive rights to BONK in the College Market. Others are out there performing this show, but we think that we do it as well as the best, and better than the rest. We think you’ll agree. PC: Right Click “Save Target As” or click link and save from browser. The next two fliers let you promote the show to a different audience – as a Comedy Show instead of a game show. Please confirm which host will be hosting your event and use the correct flier. We are happy to write a show just for you or use surveys that you create for your event. If we write/research surveys an extra cost may apply. However, if it’s a show that we think others will be interested in, we may share the cost with you or absorb it ourselves. Talk to an agent today. Bonk at a Corporate Event in 2011.